Did you know that Saran-wrapping your art for storage can lead to mold? We spoke with the President of AXIS Fine Art Installation and art storage expert, Derek Smith. He told us the unfortunate story of a client who Saran-wrapped a painting for storage, inadvertently trapping humidity inside, and allowed mold to damage the painting. There are a lot of risks when storing art. Although nerve-wracking, if you know what you’re doing, you can save monthly costs by putting together an at-home storage space. Even if you are working with consultants or a storage unit, it’s good to know what you’re looking for. AXIS has an on-site art storage unit and they also consult clients on how to create art storage in their homes. Paired with years of experience, Smith has some unique insight on the most important factors to consider when storing fine art at home or in a storage facility. Turning a closet or small office into an art storage room is an option, but you need to know what to look for when choosing a room in your house. The room must be finished. Avoid attics or basements unless they are finished and have climate control. Be sure there are no air vents or open windows. If there is a vent in your storage space, you can speak to a specialist about creating a deflective device so the air doesn’t blow directly on the artwork. You also want to be thoughtful about dust, mold, and any musty smells that could be the indicator of a bigger problem. One final thing to avoid is storing your art in a room that has an exterior wall. Ideally, you will use a room that is completely inside the house. This eliminates the risk of windows bringing in sunlight and weather which can damage and fade artwork. Although there are basic practices you can follow to protect your artwork, if you’re storing it you need to be prepared for the worst. Archiving your collection before you pack it up is absolutely necessary for protecting yourself against damage or loss. “You want a photo inventory and condition report for every single piece,” Smith recommends. “For a museum condition report, typically the notebook travels with the exhibit, and the contents and condition are reported every time the crate is opened,” he reveals. That’s the ideal way to manage your art storage, so you can document any changes in the art or storage space over time. At the very least, you need a “snapshot, description, and a notation of any existing damage,” Smith advises. All of this documentation can be done online in the cloud with Artwork Archive. 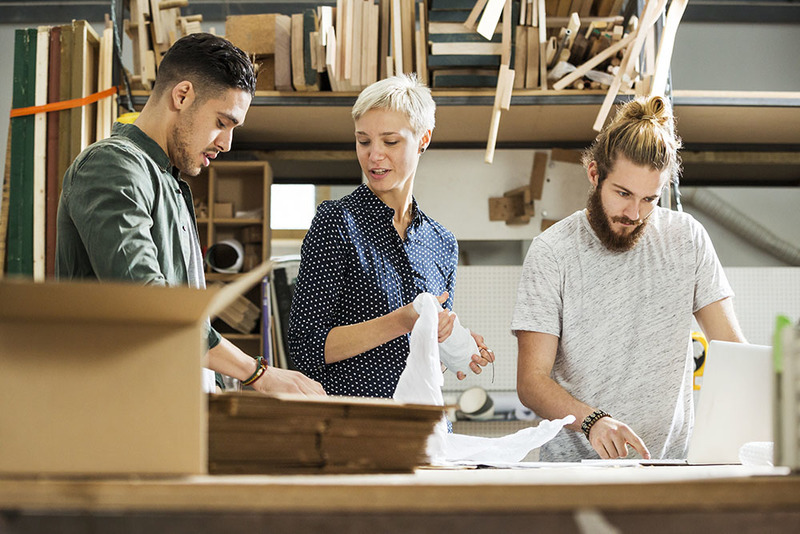 You can also update the location of your pieces to “Storage Facility,” to keep a record of the date they entered and their updated condition reports. 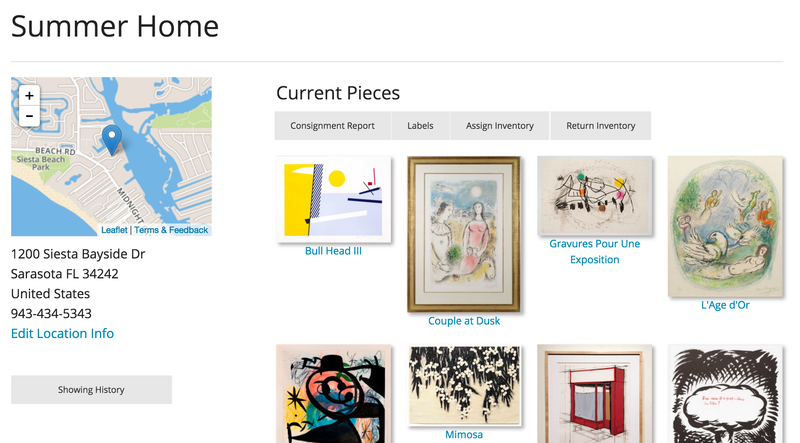 A view of your artwork organized by location is available in your Artwork Archive account. Just click on Locations and then click on the one you'd like to view. Clean it: Use a clean microfiber cloth to remove any dust from hard surfaces. We suggest using a wood polish or metal polish if necessary to avoid any rust or scuffing. You can consult a hardware store to see what polish is best for your piece. This will stop dust particles, or worse, rust or damage, from settling on your art. Another option is consulting your appraiser for a condition report and having the piece professionally cleaned. Consult a Professional on the Best Wrapping Technique: It’s not uncommon for collectors to have their art saran wrapped before storage. As discussed, even if you use all the right styrofoam and cardboard to separate the art from the saran wrap, you risk trapping humidity inside. “We do not typically wrap art for storage,” Smith points out. Use Crescent Board: Art storage experts use crescent board, which is an acid-free professional mounting board to separate pieces from touching when stacked or in transit. This way the piece is protected, but it can still breathe. Make Sure All Materials are Acid-Free: Another thing to check for when you are prepping your art to be stored is that acid-free framing materials were used and acid-free storage materials are being used. Materials that are not acid-free will age faster and could dye the backing of the canvas or print, which will negatively affect the value of the piece. The ideal humidity to store artwork is 40-50% with a temperature between 70-75 degrees Fahrenheit (21-24 degrees Celsius). This is easily achieved with a humidifier. Severe climates can cause cracked paint, warping, yellowing of paper, and mold growth. Although when it comes to climate control, “the number one enemy is rapid changes in temperature or humidity,” Smith declares. He also brought up an interesting point regarding the durability of artwork based on their age. “With antiques, if you think about it,” Smith tells us, “they have survived hundreds of years in homes that are not climate controlled.” Some of these pieces have been around since before air conditioning so they can withstand a certain range of temperatures. When you’re working with modern art you need to be more cognizant. An encaustic painting, for example, which is made of a wax-based paint, melts very quickly. “It will melt while you’re in the grocery store over the summer,” Smith cautions. While the age of your art is something to be considered, it’s better to live by the golden rule. Regardless of the work’s composition or age, you don’t want a change in humidity of more than 5% in 24 hours. If you have space, you can also hang your artwork in the storage unit. Art is meant to be hung. This is also a great way to avoid having to add protection if it’s stacked against other pieces. Smith describes a storage space made with rows of chain link fences installed about five feet from each other. The art hangs on S hooks all over the fences. If you do need to stack pieces in a small space, be sure to store your art like books on a bookshelf, not piled, flat-side down. Now that you know the specifics of art storage, you’re fully equipped to store your artwork at home –if you have space. If you don’t have room to set up an at-home-storage situation, you have two options: you can store your artwork in a climate controlled storage unit or you can work with an art-specific storage facility. As long as the unit meets the conditions above, you should be safe. There is one thing to consider when deciding between these two: your neighbors. If you’re working within a storage unit facility, although these buildings have climate control, they don’t have content control. “They have good climate control systems, they have key cards, monitors, cameras, some of them you can even go online and tap into their cameras and look at your stuff sitting there,” Smith says, “One thing they cannot control is content.” If your neighbor’s unit fills with moths or bugs, or something spills, your unit can also be affected. Hopefully, by this point, you’re feeling calmer and prepared to store your artwork. With a little advice from the professionals and a fierce attention to detail, you have all the tools to safely secure your art collection. Special thanks to Derek Smith of Axis Fine Art Installation for his contributions. Get more expert insights for caring for your collection in our free e-book, Essential Guide to Collecting Art. Why adding prints, fine art photography, and drawings to your collection is the best place to start. The cost of your art is much more than just its price tag.